USAA, otherwise known as United Services Automobile Association, has been in existence prior to 1924, serving military members with insurance services ranging from automobile insurance to life insurance. Today, the company represents a Fortune 500 corporation based in Texas but with branches in all 50 states as well as U.S. territories. The company still directly caters to military service people and veterans, but it also accepts policies and agreements with service member relatives, spouses and offspring as well. In terms of life insurance, USAA offers all three of the major life insurance types, including term, universal and whole life insurance. Under term life insurance, USAA’s policy covers a member for the duration of the policy, usually 10, 20 or 30 years. After the term is over then the member has to buy a new policy to be covered again, and USAA keeps the premiums paid entirely. Under universal and whole life, policies allow members to build up a cash reserve invested in USAA for the duration of the policy. The member has coverage over his lifetime as long as the premiums are paid timely. Payments under universal can change over time, but under whole life the cost remains the same once the policy is started. USAA also offers a hybrid version, allowing members to start with term life insurance, which is far more affordable, and then convert to a universal policy where investment can play a role as a person moves along in his career. The combination works well for those first starting out with a family and then later on becoming more financially stable. 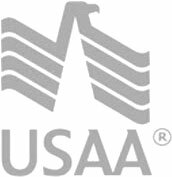 USAA rates tend to be a bit more expensive than open market rates for life insurance, but the company has a long-standing reputation for following through on its coverage policies, paying out claims when they come through and are valid. This reputation, as well as customer service for members has made USAA an insurance company many customers want to have but only a few can access. Because of the member universe the company primarily serves, military service members, USAA would normally have a higher risk potential than other life insurance companies. However, the company has been in existence for almost 100 years, helping military families and relatives continue on, especially after a covered member has deceased either in action or due to natural causes. As mentioned above, USAA life insurance is not available to ever y customer, but for those who have military service or are related to a member, the insurance company is definitely worth considering. Further, purchasing a life policy also makes members eligible for other products as well, which can be very competitive given USAA’s reputation for stellar customer service and response.